Presented by UK International Guitar Series. 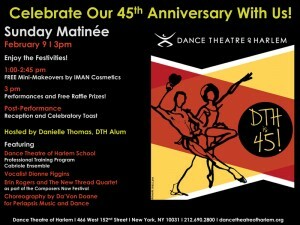 Join New Thread for Dance Theater of Harlem’s February Sunday Matinee as part of the Composers Now Festival. Check out the Composers Now listing here. The Eric Hofbauer Quintet will be performing their jazz version of The Rite of Spring. You can watch Part 1 of a previous performance here: http://www.youtube.com/watch?v=xALxljbsERY. Here’s Eric’s website: http://erichofbauer.com/.